As a surveyor, architect or habitual user of graphic design programs such as AutoCAD, to edit designs in PDF formats shared on the internet, we find ourselves with the strong need to have a converter for these files and there is nothing better for this than PDF to DWG Converter. PDF to DWG Converter is the ideal solution for you to convert PDF files into editable DXF and DWG files easily and quickly. DWG format is supported by most CAD programs such as AutoCAD. PDF to DWG Converter allows you to extract items from the PDF file and polish them in the CAD program. 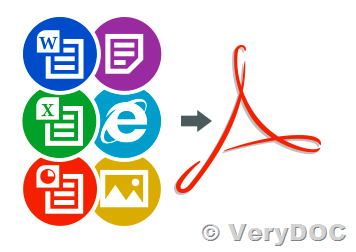 It's worth mentioning that this converter is capable of maintaining the original scale of the PDF files, then you can edit your drawings easily. This software can be used to batch convert DWG and DXF files to vector PDF files without the need of AutoCAD. It is a stand-alone AutoCAD drawing file conversion program, you do not need AutoCAD or Adobe Acrobat to use this PDF Converter. It is also a Command line application, you can run it in Command Line Window or call it from your application easily. VeryDOC DWG to Vector Converter (DWG2Vector) can be used to batch convert from AutoCAD DWG and DXF files to other scalable vector graphics formats, such as PDF, EMF, WMF, SVG, Postscript (PS), EPS, SWF (Flash), XPS, HPGL, PCL etc. formats, quick and easily. VeryDOC DWG to Image Converter allows you convert DWG and DXF files to Raster BMP, JPG, PNG, TIFF, GIF formats directly without need of AutoCAD, quick and easily. DWG to Image Converter is a command line application, you can run it by manual or call it from a script (or .bat) file to batch convert your DWG and DXF files to image formats. Raster to Vector Converter Command Line is designed for converting raster images to scalable vector images. It supports most popular formats of raster images as source formats and common formats of vector images as target formats. It uses advanced algorithms to calculate the paths of raster patterns and convert raster patterns to vector ones. VeryDOC PDF to DWG Converter does quick and easy converts PDF files to high quality DWG and DXF files for fast and efficient editing in AutoCAD application. VeryDOC PDF to DWG Converter is industry leading PDF to AutoCAD software. By using VeryDOC PDF to DWG Converter's leading PDF to AutoCAD conversion feature, users can convert vector images and text into the DWG or DXF formats where it can be used and edited as required. Outputs to AutoCAD 2017 DWG/DXF formats. AutoCAD application is not required. Convert thousands of PDF files to DWG files in one command line. AutoCAD and Adobe Acrobat are not required. Batch convert all pages in each PDF file. 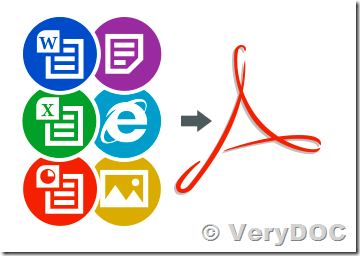 Extract and convert embedded raster images from PDF files. 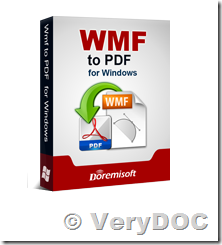 VeryDOC PDF to DWG Converter is a powerful windows program that will help you convert your PDF files to usable and editable DWG/DXF files quickly and easily. DXF (Drawing Interchange Format, or Drawing Exchange Format) is a CAD data file format, and it compatible with any popular CAD systems. It is for enabling data interoperability between AutoCAD and other CAD programs, and it is sufficient for AutoCAD and other CAD systems data exchange needs. DWG is a binary file format used for storing two and three dimensional design data and metadata. VeryDOC Raster to Vector Converter Command Line converts from any raster-based format to a vector-based format. Although many PDF's contain raster images, the PDF file format isn't raster specific. The PDF file format can contain raster images, paths (polylines) that can be optionally be filled, or text objects. There is no other object type (even a circle is rendered as 4 Bezier curve paths). How can I call Doc2Any SDK from 64bit EXE application? can help us to provide the 64bit DOC to Any Converter SDK? strCmd = "-$ XXXX-XXXX-XXXX-XXXX -ownerpwd 123 -keylen 2 -encryption 3900 " & """" & strInFile & """ """ & strOutFile & """"
Does your API support conversion from docx and pdf to svg? Can we try this somewhere? Please download the products from above web pages to try, please feel free to let us know if you encounter any problem with them. Remark: The flawless and easy way to publish PDF and Office (DOC, DOCX, XLS, XLSX, PPT, PPTX, RTF, TXT, etc.) documents as web-ready SVG files. 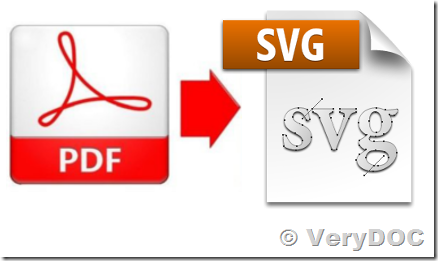 PDF2SVG is an efficient, stand-alone utility for converting and publishing PDF and Office (DOC, DOCX, XLS, XLSX, PPT, PPTX, RTF, TXT, etc.) files as web-ready SVG graphics, the open-standard W3C recommendation for high-end graphics on the web. 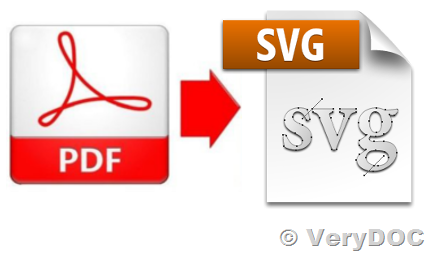 PDF2SVG is offered as an easy-to-use command-line application and as a software development component that can be used as a building block for other client and server-based applications. Convert WMF and EMF with Accuracy. EMF to Vector Converter Command Line for Windows converts WMF and EMF into the most used vector and image formats including PDF, SVG, EPS, DWG, DXF, PNG, GIF, JPEG and TIFF. EMF to Vector Converter Command Line is a fast and powerful metafile converter. With it, you can transform native Windows metafiles into useful formats for other applications. 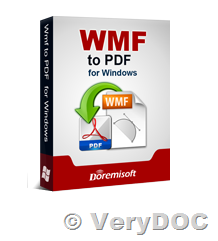 Windows Metafiles (WMF) and Enhanced Metafiles (EMF) are the native Windows vector formats. Unfortunately, they don’t travel well. If you want to use them on the Web, UNIX, Linux, the Mac or in specialized applications, you’ll need to convert them. EMF to Vector Converter Command Line does that brilliantly! You see them on screen, in software programs as well as behind the scenes in the GDI display and print code that drives Windows application. When you copy a drawing to the clipboard from PowerPoint for example, it is stored as a Metafile. You can save or export metafiles in most Windows graphics applications. Both formats are used to save, exchange and publish drawings, diagrams, maps, charts, plots, forms and reports across the Windows platform. WMF and EMF are not broadly supported outside of the Windows environment. Web pages, for example cannot display metafiles. Other environments that lack support for viewing or authoring Metafiles are UNIX, CAD, XML and PS/PDF print production systems. They require their graphics to be in different formats. EMF to Vector Converter Command Line is the bridge between Windows and all of these other environments. Use EMF to Vector Converter Command Line on your desktop to convert WMF and EMF to all industry-standard formats. Convert just one file as easily as multiple files or complete directories. Server versions and developer SDK versions are also available.